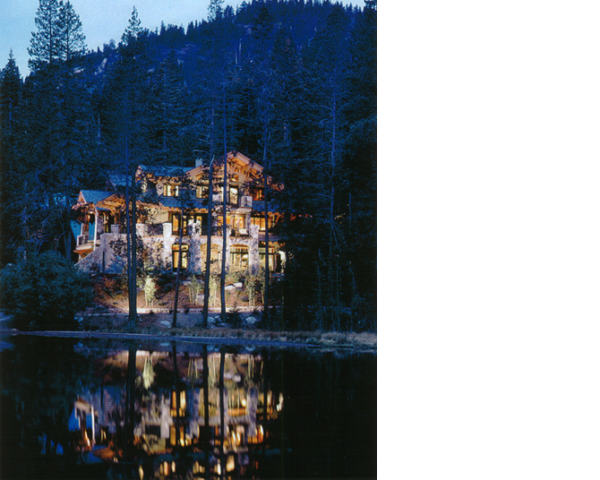 A three-story, 6,500 square foot home, this was essentially designed within a 60-foot by 60-foot square in Squaw Valley, CA. 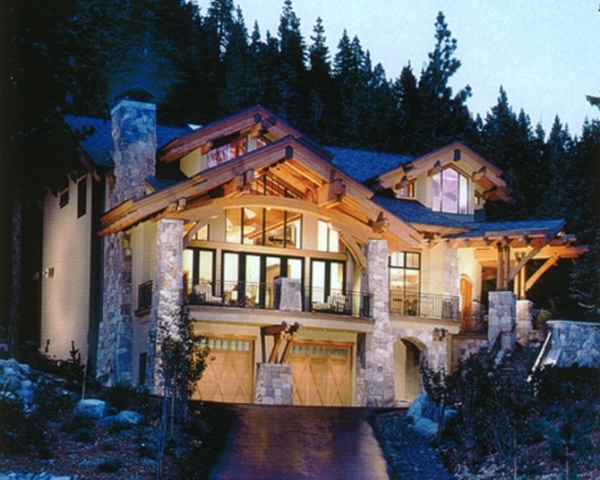 Sierra granite pairs with cedar siding to engage the home with its surroundings; the interior features big timbers and an open beam ceiling to offset the area’s heavy snow load. 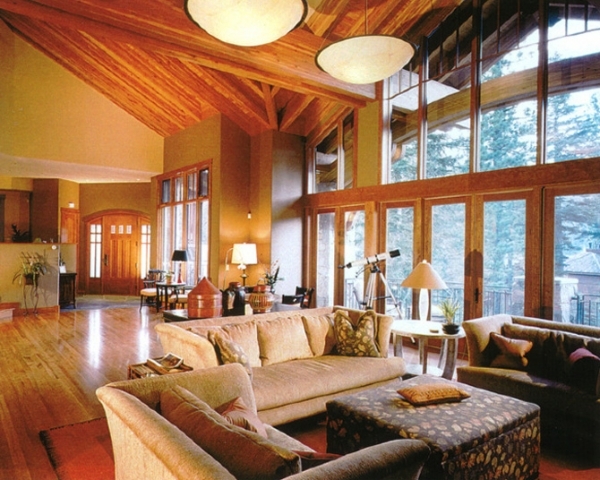 This home won Mountain Living’s Home of the Year in 2004.